Dr. Epstein is a distinguished specialist with extensive experience in the fields of allergy, asthma, and immunology. Dr. Epstein has been in practice in Rockville Centre since 1986. 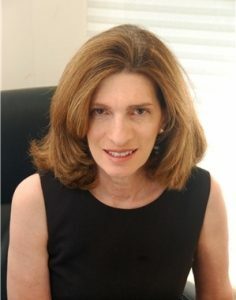 Dr. Epstein provides her patients with a unique expertise. She received her M.D. degree from New York University School of Medicine. She trained in Internal Medicine at Stony Brook University Hospital and completed an Allergy/Immunology Fellowship in Pediatric and Adult Allergy at Tufts - New England Medical Center in Boston, Massachusetts. Dr. Epstein is an active member of the American Academy of Allergy, Asthma, and Immunology as well as the American College of Asthma, Allergy and Asthma. She has been a consultant for many magazines as well as a regular guest on Sirius Radio. She has also been an expert witness for many legal cases involving latex allergy. Dr. Epstein and our staff help our patients understand disease and its triggers through individual teaching, digital media and handouts. Advanced Allergy and Asthma, PLLC., has participated in clinical research evaluating new treatments of asthma and allergies. Current studies include the Novelty Study- a prospective, observational study on patients with obstructive lung disease including asthma and COPD). Dr. Epstein is committed to studying new treatments and improving current treatments for the benefit of our patients. Payment is expected at the time of service. Co-pays are determined by your insurance plan. We will confirm all insurance but please confirm what your co-pay, deductible and patient responsibility is before your appointment. Please note we are a specialist office and therefore co-pays will be determined according to specialist fees. We submit all charges to your insurance company for you. Bring your insurance ID card to all visits. Patients are responsible for appropriate referrals if required by your insurance. Please see our extensive list of medications which can interfere with testing. Click Here for List. The number of days that these medications need to be stopped is indicated on the list. Certain medications such as beta blockers may also interfere. DO NOT STOP these medication as it can be dangerous. PLEASE STAY ON these medication until it is discussed with the doctor during your first appointment. Before your first visit you will complete a new patient registration/comprehensive medical history form. For your convenience, this form can be accessed here. (If you do not have Adobe Reader, it is free and you can get it here.) Upon printing and completing the form, please fax it to 516-678-8395, or bring the completed form with you when you come in for your appointment. Your first visit includes a review of your medical history, physical examination, and testing if indicated. The length of time of this visit will vary according to your symptoms and the testing that Dr. Epstein recommends. Please plan on allowing 3 hours for your comprehensive evaluation. Dr. Epstein will do as much testing as possible on this first visit, according to your symptoms. Based on this initial evaluation, Dr. Epstein will be able to formulate a possible diagnosis in most situations and will order additional testing if necessary. The doctor will prescribe medications if necessary as part of the treatment plan on this initial visit. Upon completion of all testing, Dr. Epstein will formulate a treatment plan that will allow you to take control of your allergy or asthma symptoms. During your visits, please feel free to ask questions if there is something you do not understand. In addition, if questions arise after you leave the office, we encourage you to contact our office to resolve any concerns.